For two fastball seasons, a group of talented 17 and 18 year-old young men brought excitement and recognition to the small community of Falun by capturing the Provincial Juvenile Fastball Championships. Twenty-one players composed the two teams and eleven of those players played on both teams. 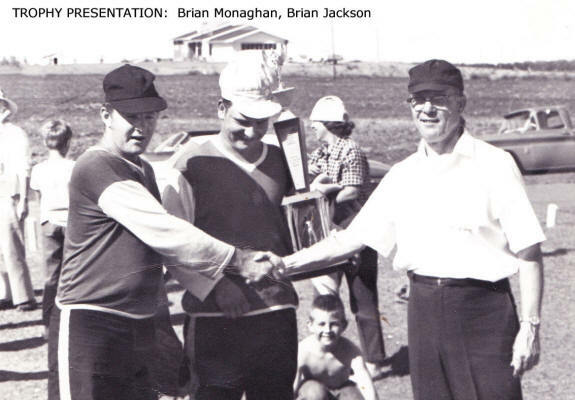 The head coach both years was Clayton Managhan with Keith Anderson serving as assistant coach in 1968 and Frank (Francis) Reglin and Lorne Ganske in 1969. 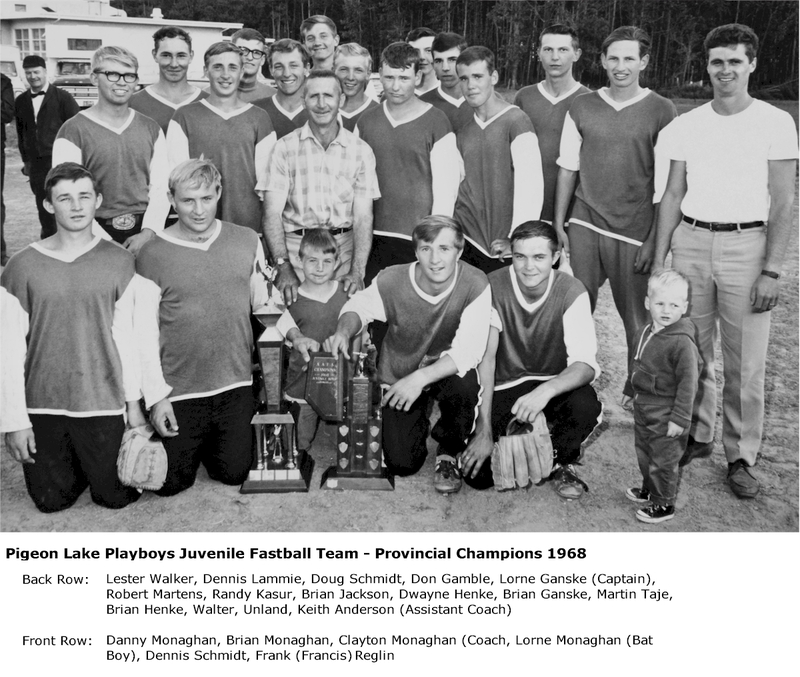 The Pigeon Lake Playboys of 1968 and 1969 were the first Falun teams to win Provincial Championships and were the teams that began the Falun dynasty that continued for the next 25 years and led to Fastball Alberta calling Falun the “Fastball Capital of Alberta”. Besides entering the Provincial Championships their first year in existence, the Falun team also hosted the 1968 Provincial Championships. That took a lot of effort from the team, coaches, parents and Community League volunteers. 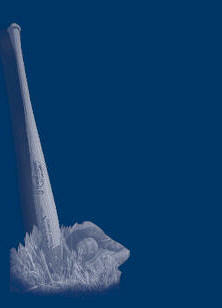 Besides maintaining the ball diamonds, all of the game-related details, concessions, and billeting had to be arranged. As well, the hosting committee wanted the visiting teams to feel welcomed and coordinated a free dinner, a pancake breakfast and provided parking and camping areas. The two-day event was a “first class” affair. The Falun community totally supported the team and well over 400 fans turned out to the Falun fastball diamond to watch the championship games. 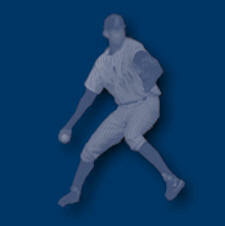 The 1968 team did not compete in league play and was limited to practicing and tournaments. All summer long they played in week-end men’s tournaments whenever they could. This preparation playing against men’s teams gave the boys the confidence and experience they needed to enter the playoffs for Provincials. Consequently, the Playboys won the right to represent Northern Alberta in the Provincial Championships. 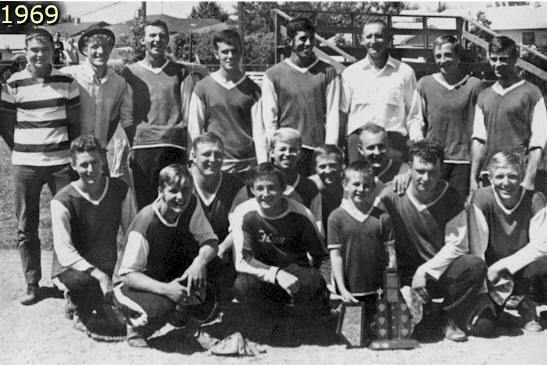 Three teams participated in the 1968 championships: the Calgary Bridgeland Riverside Community team representing Central Alberta, the Lethbridge North Stars representing Southern Alberta and the Playboys representing Northern Alberta. In a two day double knockout series the Playboys lost their first game to Calgary and then went on to win their next three games and emerge as Provincial Champions. In the final game the Falun boys came back from a 3-0 first inning deficit and won the game 5-4 in their half of the last inning. 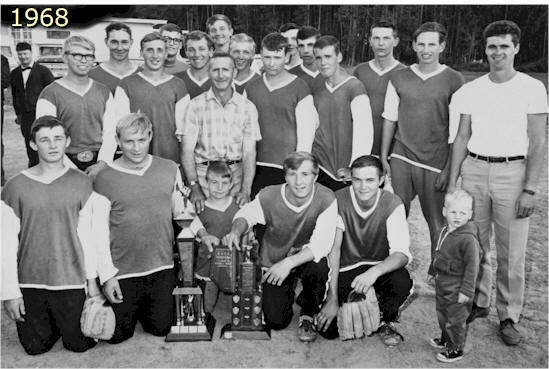 To increase their competitiveness, the next season (1969) the same group of players competed in the Wetaskiwin Men’s Fastball League and were very competitive against the “big boys”. 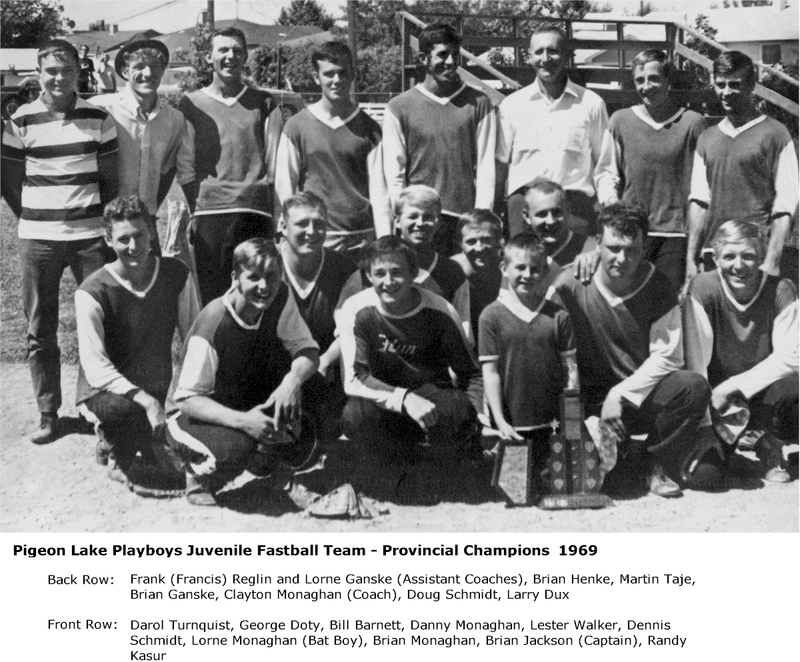 However, five of the players were too old to qualify for the Juvenile Provincials so the team had to pick up additional players for the 1969 playoffs. In order to advance to the Provincial playoffs as northern representatives, the Playboys defeated Wye Road with scores of 4-0 and 5-3. The 1969 Provincial Championships were held in Calgary. Opponents of the Playboys in the north-south battle were the Parkdale Juveniles from Calgary. In the first game the Playboys defeated Parkdale 13-4. They wrapped up the title by winning the second game 8-3. A large number of parents and friends motored to Calgary for the playoffs to support the team and certainly outnumbered the Calgary fans. The Calgary hosting did not even compare to the Falun community’s efforts the year before. 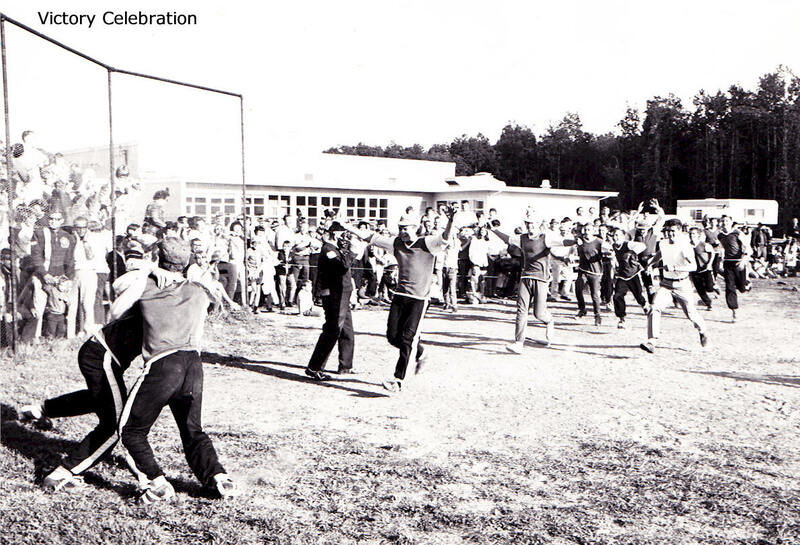 1969 was the last year that there was a Juvenile Team in Falun. Because there was little employment in Falun, most of the boys left Falun to attend school or obtain employment elsewhere. Clayton Monaghan continued coaching but moved to the Squirt level where his teams continued winning championships. It was quite a feat for teams from the small hamlet of Falun to participate in and win Provincial titles completing against large centers like Calgary and Lethbridge. These competitive and high spirited young men, the core of which had played together since elementary school, laid the foundations and set the tone for the future teams from Falun. It is with pleasure that the teams are inducted into the Wetaskiwin and County Sports Hall of Fame. Read the introductory comments made by Sandra Wright introducing the Playboys.